Illinois' Ali Bastianelli (5) attempts to spike the ball during the match against Northwestern at Huff Hall on Saturday, Nov. 7, 2015. 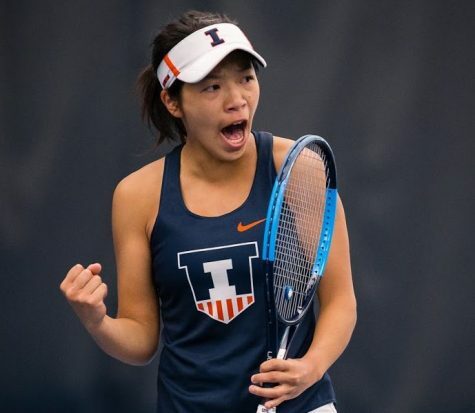 Illinois won 3-1. Coming off of its fourth consecutive loss, Illinois volleyball needed something to change, and it finally did Saturday morning against Belmont. The offense flowed well throughout the match as the team hit .328 in the three-set sweep. Belmont made 28 attacking errors and 12 service errors in the match. 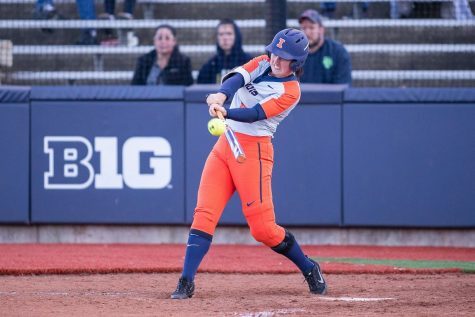 Illinois’ defense, led by sophomore Ali Bastianelli, held strong. After starting the match with an ace by freshman Caroline Welsh, Illinois never looked back in the first set, which they won convincingly 25-9. After making set two a little more competitive, the Bruins gave it their all in the third, but in the end it was another Welsh ace and a kill from fellow freshman, Jacqueline Quade, that put the Illini over the top. The team was given a one-day break between game two and three of the Nike Invitational, but had to hit the floor once again that night against St. Mary’s College of California. 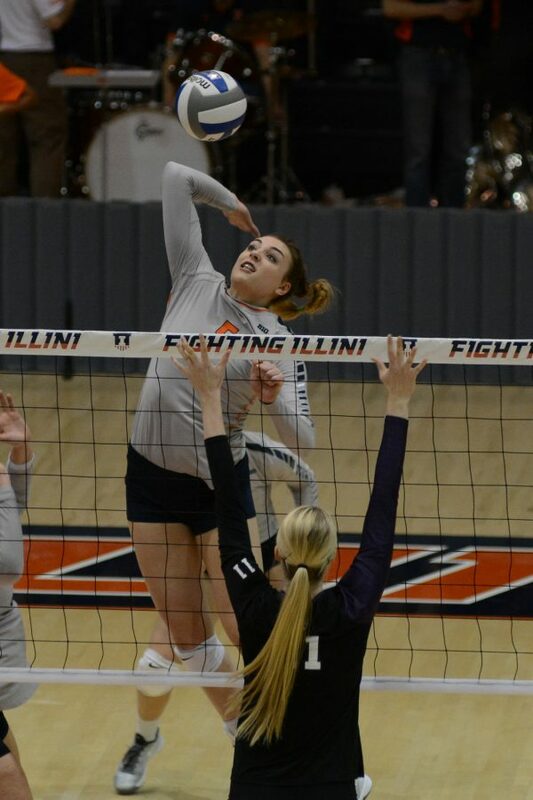 The Illini continued where they left off and started the match strong with two consecutive blocks. The lead continued to grow as the first set wore on, closing at 25-11 when Bastianelli and senior Naya Crittenden combined on a block. The second set was tightly contested, and at one point was tied at 11, but the Illini broke away with four straight points, forcing a Gael timeout. 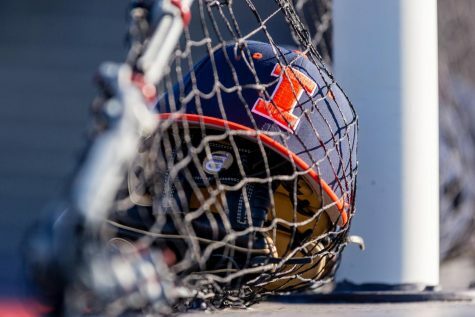 The timeout didn’t stop the momentum, however, and the Illini cruised to another set victory. The third set was more of the same as the Gaels kept it close until the Illini went on a 5-1 run in the middle of the set, building a lead that never diminished. Stadick and Blayke Hranicka contributed blocks in the final set, and Welsh dealt another ace down the stretch as the Illini capped off the day with their sixth consecutive set win. Stadick’s 11 blocks led the team, and her six block assists outpaced all but Bastianelli. 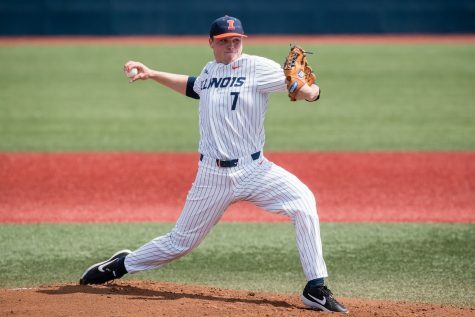 Since winning the MVP award in the Illini Classic two weeks ago, Stadick hasn’t performed at quite the same level. 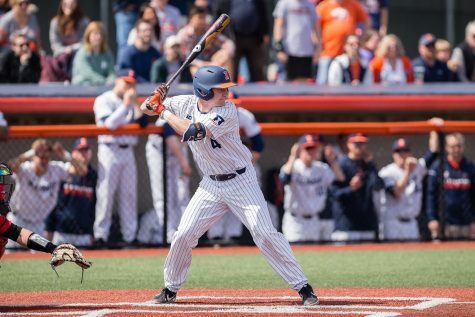 Bastianelli, on the other hand, has been anything but quiet since the Illini Classic. The sophomore had a breakout performance against Stanford — she set a school record for block assists in a match with 18 — and then followed with one of the best offensive displays of her career against Colorado.